Peg (the amazingly charming truffle hound) had her last truffle-hunting gig of the year this morning – sniffing around a plantation of young trees infected with Tuber borchi, known in Italy as the bianchetto or marzuolo truffle. She was good, too. I took two film canisters with some frozen black truffle inside for Carolyn to hide while I was putting my boots on, and despite the decoy holes Carolyn had dug, Peg stuck her nose in the air and hunted out the baits very quickly. If nothing else, it proves that she still knows what her job is. Hunting out truffle baits like this keeps her nose in, and gives me a chance to reward her – positive reinforcement even if there are no real truffles to find. And there weren’t. Tuber borchi is a white truffle, similar in some respects to the famous Italian white truffle, Tuber magnatum. It doesn’t have the superb reputation (or high price) of magnatum, but Italian experts reckon that good borchi is close. Given that magnatum has never been successfully cultivated (though many have tried, and continue to try), borchi offers truffle growers a shot at growing something to fill that market niche. Borchi has been successfully produced in at least one truffère in Italy, and in NZ we’ve got several plantations, the oldest of which were planted four years ago. I have 35 trees at Limestone Hills, and half of them are from that first batch. No sign of truffles there, sadly, but I live in hope. Borchi is interesting in a New Zealand context for a couple of reasons beyond the purely culinary. It is a winter to spring truffle. The season in Italy runs from January through to the end of April, which translates roughly to July to October down here, and so it offers a chance for growers to extend their season. Tuber uncinatum, the Burgundy truffle (aka the summer truffle that can be found in Britain) extends the season in the other direction, so that’s being experimented with as well – and I have some of those too. 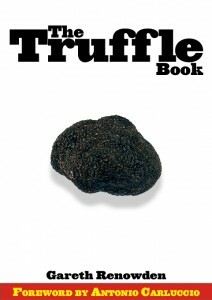 With three species in cultivation, we have the prospect of a truffle season that might extend from March to October. The other interesting thing about borchi and uncinatum is that they are known to fruit over much of Western Europe – from Britain to Italy – and so they are more climatically tolerant than the finicky Perigord black truffle. Regions of New Zealand that are currently thought to be too cool or too wet for black truffle might be fine for the other two. Neither truffle sells on world markets for anything like the prices commanded by melanosporum or magnatum, and until we have produced some in New Zealand and established a market, it’s very hard to estimate what they might be worth to growers. Even modest assumptions, however, suggest that they could be more lucrative than most other tree crops.